If you’ve owned your car for a while, chances are pretty high that you already know what type of fuel it requires. If, however, you rent a car, borrow a friend’s, or decide to purchase a new or “new to you” vehicle, you may need to trade in one pump for another. 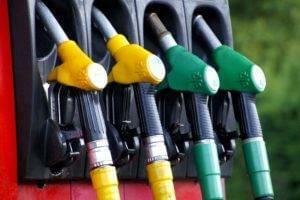 So, how do you know what type of fuel to use in your car? Is “Premium” gas really worth the price premium? And what happens if you inadvertently use the wrong type of fuel? Below, we lay out some answers. Manufacturers design their cars with a specific type of fuel and even octane level in mind, so the simple answer to the “what type of fuel should I use” question is: “whatever the manufacturer recommends.” Fortunately, the brains at Ford, Chevy, BMW, etc. provide several clues throughout your vehicle to help you follow their recommendations. First, check the owner’s manual. Locate the fluids or quick reference section, and voila, you’ll know what to do. If you don’t have the owner’s manual, open the car’s fuel lid. Some cars have a fuel lid release lever or button, while other lids can be opened manually by pushing or pulling the lid itself. If you find yourself questioning which side your fuel lid is on, check the instrument cluster on your dashboard, which will likely have an arrow or locate the gas gauge on the side of the lid. 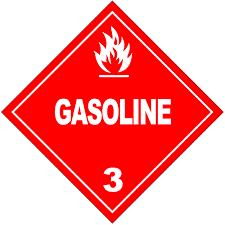 Once the lid is open, look for a label on the inside of the door or near the fuel filler neck. You should find messaging that says something like “Diesel Fuel Only” or “Unleaded Gasoline Only” and will typically include the recommended octane level as well for gas-powered cars. What’s the Difference Between Diesel and Gasoline? At a high level, diesel and gas engines are similar: both use internal combustion to convert the chemical energy available in fuel into the mechanical energy that makes a car’s pistons move up and down in cylinders. The pistons connect to the crankshaft, which converts the up and down motion of the pistons into rotational motion that turns the car’s wheels. The key difference between the two types of engines is their internal combustion mechanism. Both diesel and gas engines use a series of small explosions (i.e., combustions) to convert their fuel’s chemical energy to mechanical energy, but they create that combustion in different ways. In gasoline powered engines, fuel is mixed with air, compressed by pistons to make it explosive, and then ignited by an electrical spark create by plugs. On the other hand, diesel engines do not use spark plugs. Instead, diesel engines first compress air and then inject fuel into the combustion chamber. The compression makes the air hot enough to ignite the fuel instantly upon mixture, causing combustion. What does this mean for your car? Fuel economy and emissions. Diesel engines have a simpler and more efficient combustion mechanism than gas engines, and diesel fuel also carries more energy per gallon than gasoline, both of which mean diesel powered cars typically achieve better fuel economy than their gas-powered counterparts. On the downside, while some people like the clack-clack of a diesel engine, they can be a bit noisier and can cause more air pollution that gas-powered cars since they produce unburned soot particles. If your car uses gas, you typically have three choices at the pump: Regular, Plus, and Premium. The difference between the three is the octane rating. Regular gas has the lowest octane level (i.e., 87) and is the least expensive. 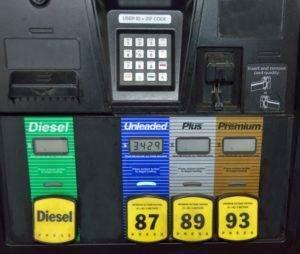 Plus (i.e., 89) and Premium (i.e., 91+) have higher octane levels and are more expensive. Is higher octane gas worth the extra cost? The short answer is: only if the manufacturer requires it. The octane rating measures the stability of the fuel when it is compressed. High octane fuel is less combustible than low octane fuel, which means it requires more cylinder pressure from the engine to combust. High-performance engines create more cylinder pressure than low-performance engines. Due to that high pressure, using a low octane fuel with high combustibility will cause the air/fuel mixture to combust prematurely before the spark fires, a phenomenon called “engine knocking” that can be damaging to your car. As such, high-performance engines need high octane fuel with its lower combustibility to ensure it combusts at the proper time. Conversely, lower performance engines produce less cylinder pressure, so the high combustibility of a low octane fuel is perfectly effective. As such, if your car requires only a low octane fuel, using Plus or Premium does not benefit you. In summary, if your car requires “Regular” gas (i.e., 87 octanes), using higher octane gas like “Plus” or “Premium” likely won’t hurt your car, but you will not see better gas mileage or performance, so there’s no reason to pay the premium price. On the other hand, if the manufacturer requires high octane gas (i.e., 91+), be sure to follow it, as you will avoid engine knocking and will enjoy maximum fuel economy and performance. Even if you haven’t followed the guidance above to determine the right fuel for your car, the gas station itself will provide you some clues. 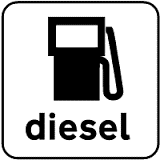 First, diesel pumps are typically marked visibly in green and are often located away from the gas pumps. Second, diesel pump nozzles are larger than gas nozzles, making it difficult if not impossible to insert into a tank that requires gas. Both of these mechanisms will hopefully prevent you from making a fuel type error. That said, people make mistakes, and here’s what can happen along with what to do if you make this mistake. First, don’t start/drive your car. Fortunately, your fuel system can be drained fairly easily at the service station. Once drained and reloaded with fresh gas, your car should be back to running like normal. If you do operate the vehicle, the engine will run rough, you won’t generate your usual power, your car may smoke, and eventually, it could stop running and need to be towed for draining and repair. This, unfortunately, is a more damaging mistake. Again, if you haven’t already, do not start/drive your car. Diesel fuel acts as a lubricant for the fuel pump and injectors. Using gas deprives the engine of diesel’s lubrication properties, which causes parts to rub together, heat up, and seize, potentially causing thousands of dollars in damage.Whenever you are deciding which type of gas to put in a vehicle, remember a few simple tips. Always consult the owner’s manual, check the inside of the vehicle’s fuel door or look up the information online. Be sure you are using the correct gas by knowing that diesel fuel tanks are traditionally green and separate from other pumps. It is also likely that a diesel nozzle will not fit in your gasoline powered fuel tank. Finally, the manufacturer recommends a certain octane gas for each vehicle. Since higher octane does not always mean better performance, stick with the gas your manufacturer recommends you use.